Irrespective of which wedding photographer you choose, the style of images that you prefer or the budget which you decide to set aside, your wedding photography will undoubtedly be an investment. We have developed our wedding photography packages because, after all, other than your rings, your wedding photography will be the one purchase from your special day that can still be enjoyed long after the cake has been eaten, the flowers have died and the dress has been packed away in the loft. We are only too aware of all of this at Hazel Hannant Wedding Photography. We also recognise that you are placing great faith in the photographer of your choice to give you the value and quality that you desire and deserve. That’s why we’ve introduced a new wedding photography package, the Honeymoon On Us Guarantee – to give you peace of mind that your day is as important to us as it is to you. However, we have also drawn on our experience of weddings and feedback from previous clients to create a range of wedding photography packages and options that offer great value for money without compromising on quality of images or presentation. We are thrilled to include within most of our wedding packages a stunning and hugely versatile range of albums from Queensberry in New Zealand which will ensure that your images are uniquely and impressively displayed in the best possible way. Please feel free to view the quality of their albums on their website. 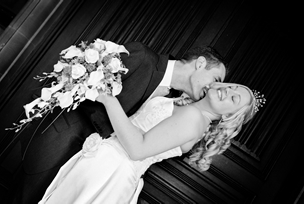 A wedding pre-shoot to ensure we meet all your requirements. A personalised Preview Book of your images. Complimentary web hosting of your images and cards for your guests detailing the website address and password. Should you require further information regarding our wedding photography packages simply contact us and we will be more than happy to assist you, and provide a personalised quote for your wedding.